A report last month revealed that Microsoft is working on affordable Surface devices with Windows 10 and Intel processor. The affordable Surface devices from Microsoft would compete against Apple in the tablet market, and it could be the company’s alternative to affordable standard iPads. We already know that Microsoft’s affordable Surface tablet will target Apple iPads in the tablet market, and now a new report provides us with a closer look at the device. Today, Microsoft enthusiast Walking Cat discovered that the affordable Surface device is internally codenamed Lex, and Microsoft is also working on a type-cover codenamed, Gibs. As Bloomberg reported last month, the device would be smaller than the existing Surface Pro and it will boast a 10-inch screen. It appears that the Surface L/Lex will feature LTE connectivity and USB-C for fast charging/data transfer. 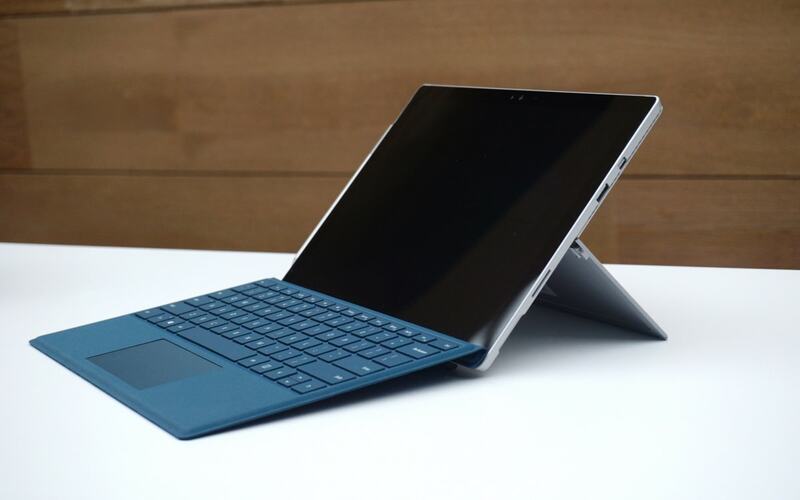 Microsoft Corp. is planning to release a line of lower-cost Surface tablets as soon as the second half of 2018, seeking a hit in a market for cheaper devices that Apple Inc. dominates with the iPad,. It’s pretty clear that Redmond-based tech giant is still working on such a device. The report published last month also revealed that the affordable Surface will feature rounded corners instead of the current rectangular design. Microsoft is expected to retain the advanced software capabilities and it’ll run Windows 10 Pro by default. Of course, you’ll be able to enable S mode. The affordable Windows 10 device will be 20 percent lighter than the existing Surface Pro, but it’ll offer 4 hours fewer of battery life as Microsoft is making the battery smaller to reduce the weight and bring it in-line with lightweight cheaper iPads. Microsoft’s upcoming affordable Surface laptop will use an Intel chip, and Microsoft won’t embrace the Qualcomm Snapdragon processor. As noted above, the USB-C will finally be offered for charging. Microsoft is also developing accessories for the device. The keyboard cover is codenamed Gibs, and the company might also unveil a stylus, the exact model isn’t yet known. A report from German site last month revealed that Microsoft’s affordable Surface tablet is aimed at the education market. Microsoft wants to use the low-cost Surface primarily to target the education market, and it’ll also complete with Chromebook in the segment. Microsoft’s new Surface model will be priced around $400, and it might see the daylight later this year.